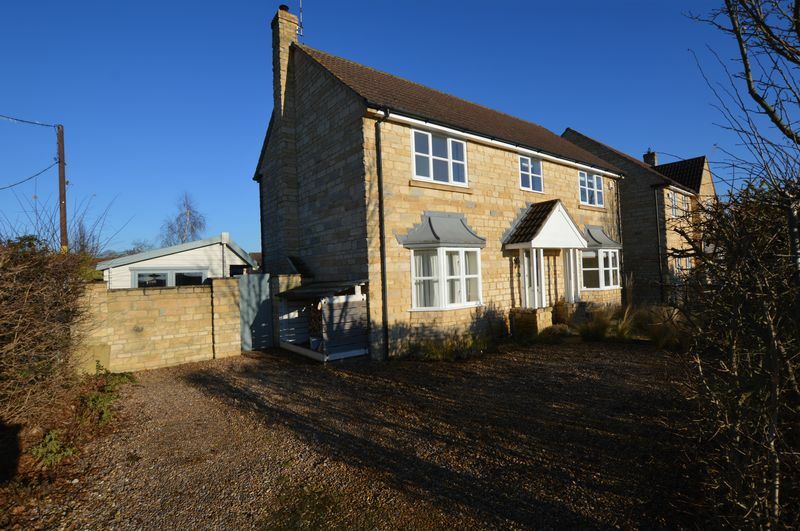 This delightfully extended four bedroom property is located in the sought after village of Ketton. The property consists of four bedrooms with the master benefitting from a en-suite,good sized lounge with woodburner, separate dining room, large kitchen,dining area/family room with bi-fold doors leading to the garden, downstairs cloak room, family bathroom, utility room, detached garage and off road parking for 4/5 cars. 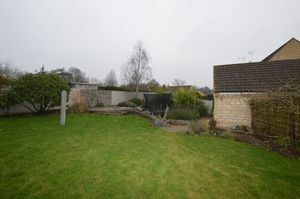 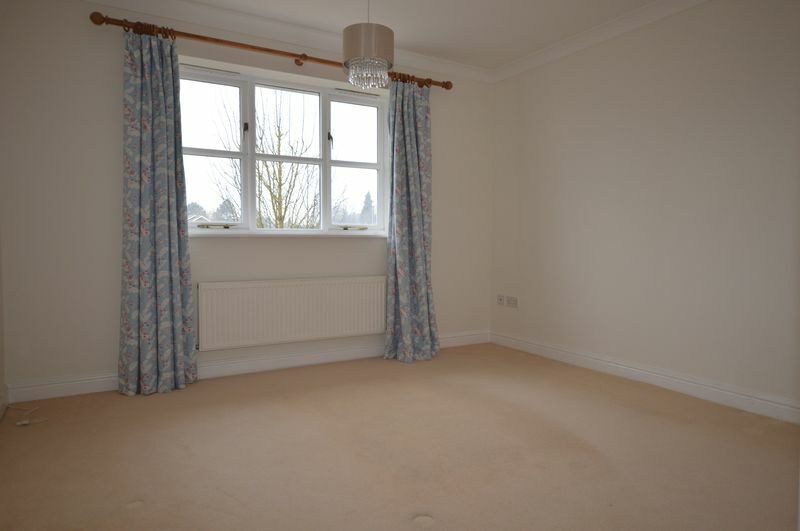 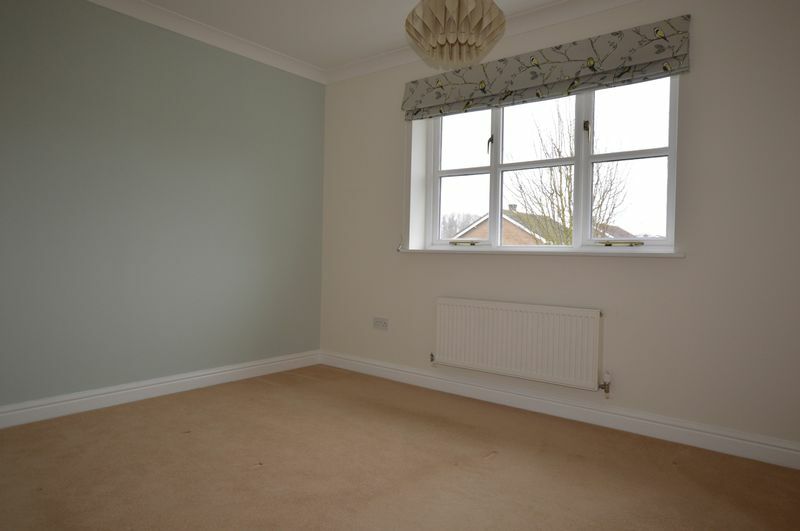 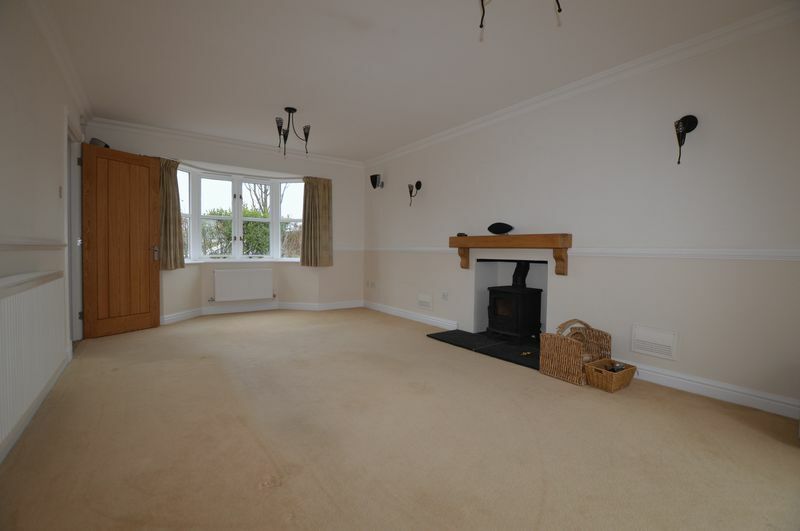 The property has a beautiful fully enclosed rear garden, with a decked area. The owner will consider families with a dog and the property is available to let immediately. 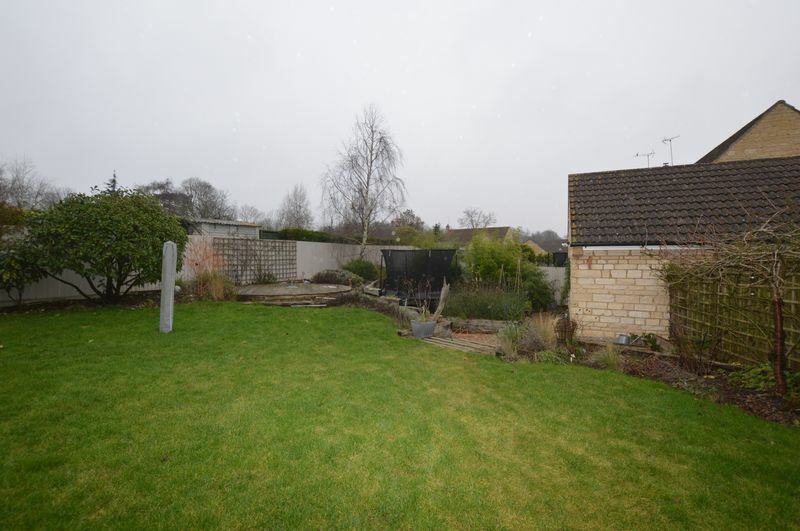 Ketton has local amenities consisting of a post office, general store, two village pubs, a sports centre, play school as well as a primary school rated as Outstanding by Ofsted. 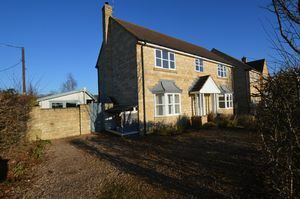 Oakham public school is located within a twenty minute drive whilst Oundle is thirty minutes away. 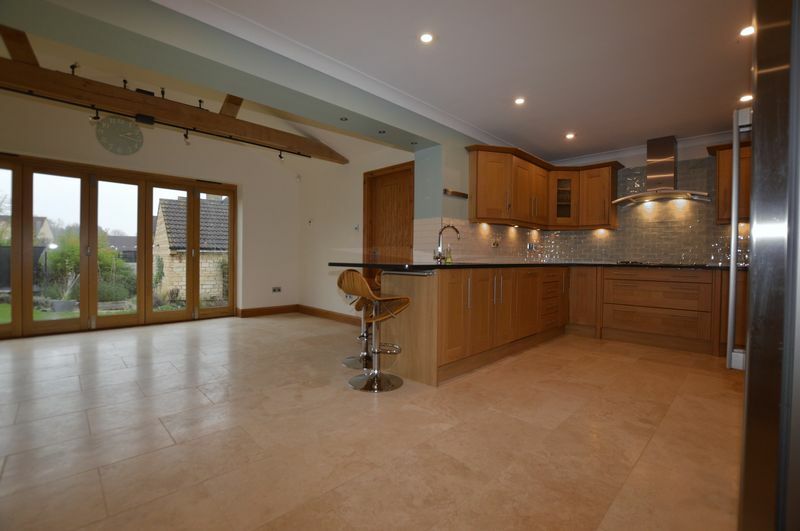 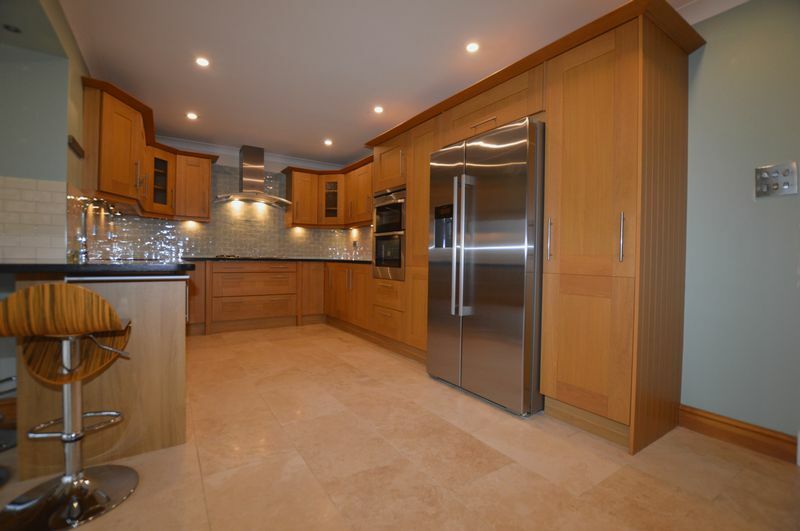 Nearby golf clubs include Burghley and Luffenham. 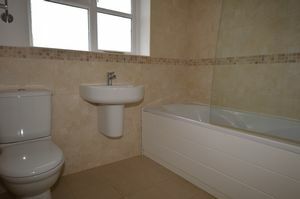 Radiator, laminate flooring, stairs, secure double glazed entrance door. Fitted with two piece suite comprising, wash hand basin and low-level WC, tiled splashback, heated towel rail, laminate flooring. Hardwood double glazed bay window to front, double radiator, laminate flooring. Fitted with a matching range of base and eye level units with worktop space over with underlighting, 1+1/2 bowl sink with mixer tap, american fridge/freezer and dishwasher, gas, built-in electric double oven, built-in five ring gas hob with extractor hood over, travertine tiled flooring, open plan to dining area and family room. 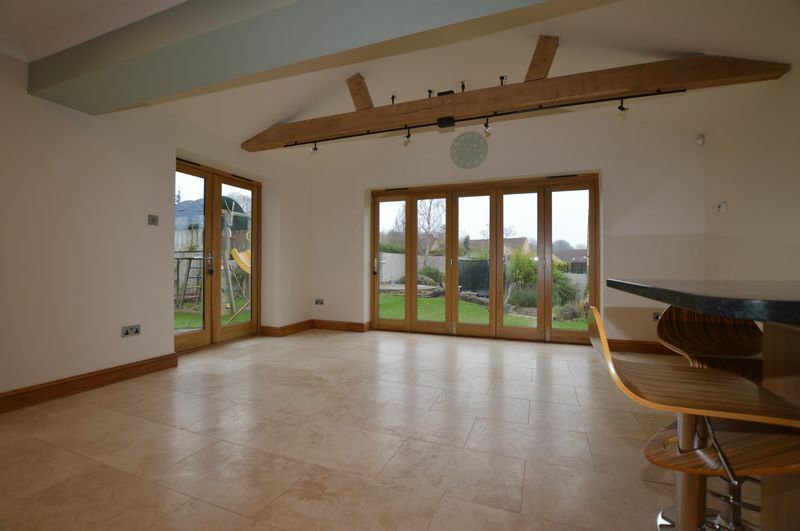 Travertine tiled flooring, under floor heating, hardwood double glazed folding door, secure hardwood double glazed entrance double door to garden. 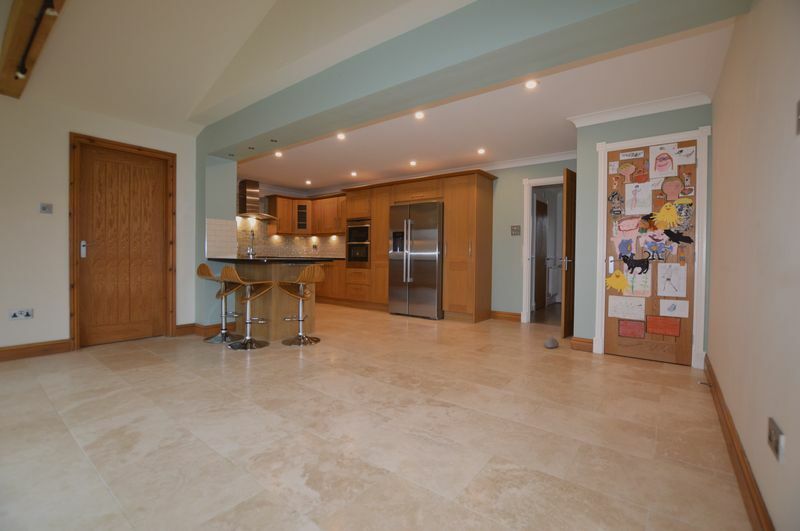 Fitted with a matching range of base and eye level units with worktop space over, stainless steel sink with mixer tap, hardwood double glazed stable door to garden. 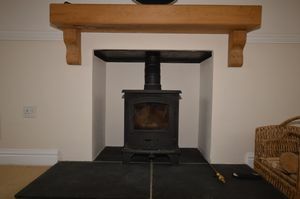 Hardwood double glazed bay window to front, fireplace with wood burner, double radiator, secure hardwood double glazed entrance double door to garden. 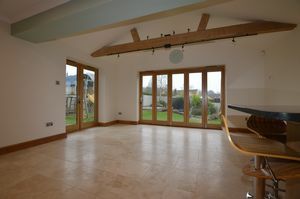 Hardwood double glazed window to rear. 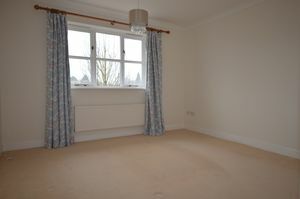 Hardwood double glazed window to front, two wardrobes, double radiator, fitted carpet, double door. 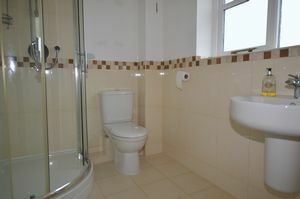 Shower, wash hand basin and WC tiled splashback, hardwood double glazed window to rear, ceramic tiled flooring. 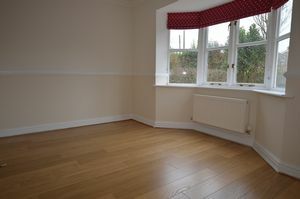 Hardwood double glazed window to front, radiator, fitted carpet. Hardwood double glazed window to rear, radiator, fitted carpet. 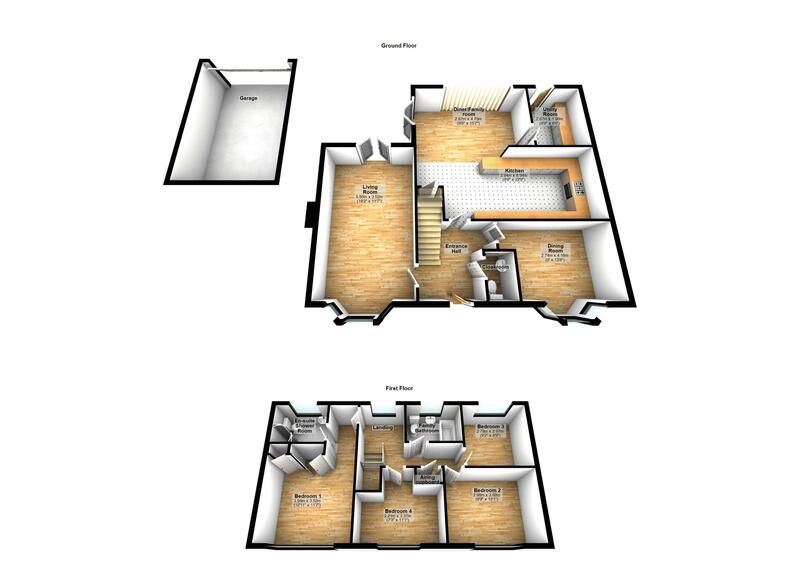 Fitted with three piece suite comprising deep panelled bath with separate shower over and glass screen, pedestal wash hand basin and low-level WC, tiled splashbacks, hardwood double glazed window to rear, heated towel rail, ceramic tiled flooring. 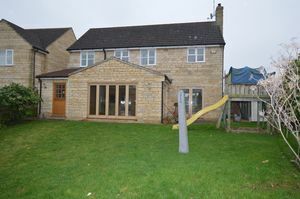 The rear garden is enclosed, mainly laid to lawn with a decked area. Detached garage, Up and over door.